Dynamic design lenses and lighten rim turn for Modular 2. 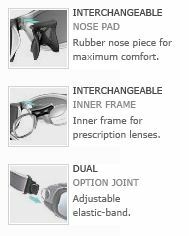 Same quality and technical features for a quick and flexible action… To be simply the first! 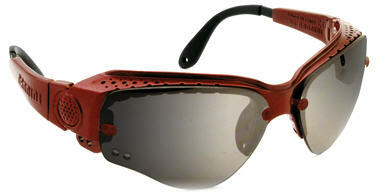 Polycarbonate anti-scratch proof with UV rays total protection lenses. Yellow: suitable for a detailed high definition perception and in fading light conditions (especially in case of foggy weather). Silver Mirror: high protection lenses for direct sunlight. Orange Degrading Mirror: for an accurate details perception in every light condition even when luminosity suddenly changes. Degrading mirror treatment is darker in the upper part to reduce light brightness where stronger.